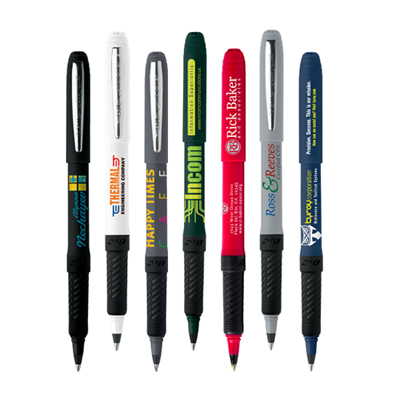 Boost your ROI with wholesale promotional pens for your marketing campaigns. 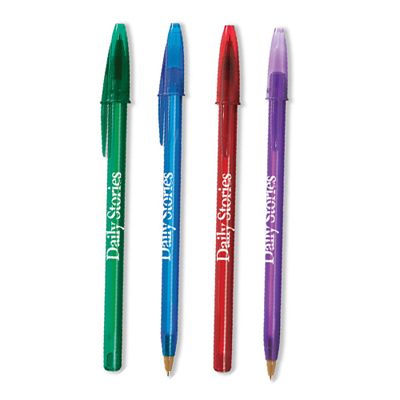 These personalized BIC Grip Roller Pen are perfect for your brand promotion. 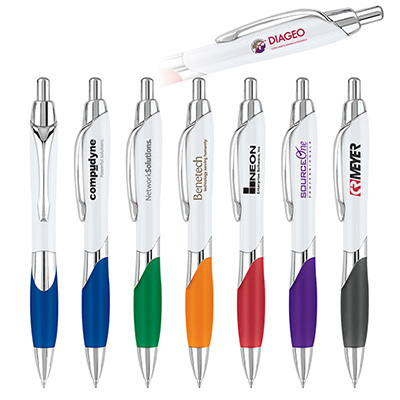 By giving away these branded Bic pens you show your clients your brand believes in quality. These pens have a non-slip rubber grip and are two pieced. 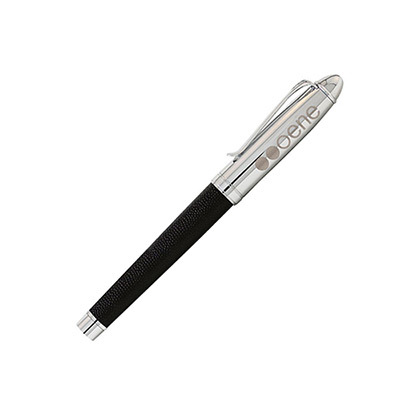 Personalized BIC grip roller pens have a silver clip and come in 0.7mm fine point. You can choose blue or black ink. "Great quality pens! We use them for our tradeshows and they work pretty well. " "Amazing and economical giveaway for tradeshows. I love how our logo stands out on these pens. I've already placed another order for them!" 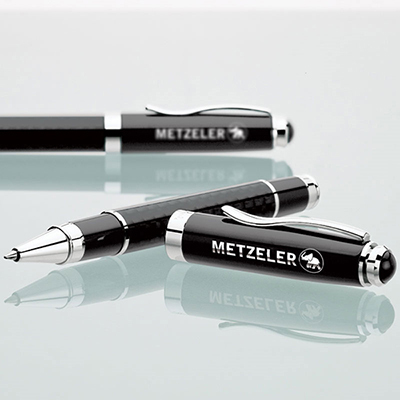 "Stylish and attractive pens at affordable prices. " FREE two color print! Popular pen with rubber grip.